Is Freemasonry the Right Fit for You? On October 21st, 2017, Saint Paul Lodge hosted an Open House. Actually, every lodge in the state opened their doors that day to attract new members and help the public better understand what Freemasonry is all about. Did you attend any of these events? Are you still uncertain whether Freemasonry is the right fit for you? There’s a lot of misinformation out there about our organization. First off, we are not a religious group, nor are we “anti-religious.” Each brother is required to have a belief in God, but that belief can be any denomination he chooses. Our members can be Catholics, Protestants, Jews, Muslims, or any other faith, so long as they believe there is one God and they swear an oath on the sacred text of their faith. We are a brotherhood of men, each trying to be the best versions of ourselves possible. We find it’s easier to do that when we’re with other men who share the same values. There’s an old saying, “You are who you hang around with.” If you’re tired of the bar scene and finding that you’re feeling unfulfilled, try Freemasonry. Our fraternity is hundreds of years old. Throughout the centuries our members have strived to be the very best they can be. Our membership rosters have included historical figures George Washington, Paul Revere, Franklin Roosevelt, Winston Churchill, Mark Twain, and more. These men cultivated their leadership and communication skills in the halls of our hallowed institution. You can learn to be great here also. We’re there for our brothers no matter what life may bring, and our brothers are there for us. This is one of the core principles of Freemasonry. When we become members of the fraternity we take and oath to “help, aid, and assist” any poor or distressed brother Mason. Like any team, our lodge is only as strong as our individual members. No brother is allowed to fall. That’s true security. Another important part of our obligation is to honor our brothers’ wives, sisters, daughters, and mothers. Any Freemason violating that oath will be expelled from the fraternity. We also take care of the widows of deceased brothers and we have our very own “Masonic Home” retirement community where Masons and their spouses can retire and live in peace and security through their golden years. We help others, not just because it’s the right thing to do, but also because it helps us grow. There are few things in life more fulfilling than feeding the hungry, clothing the homeless, or helping a needy child get a better education. The lodges in our district and throughout the state do all of this and much more. The Fitchburg Masonic Building hosts annual holiday dinners for “Help for our Community.” Other lodges support the “Masonic Angel Fund” for needy elementary school children. At Saint Paul Lodge here in Gardner, we support local community charities. This year, our primary focus is on veterans organizations. Many of our brothers have recently returned from military deployments in the Middle East. These men, true American heroes, have taken it upon themselves to reach out to local veterans groups and offer our support. Keep an eye on this event blog for updates on these endeavors. 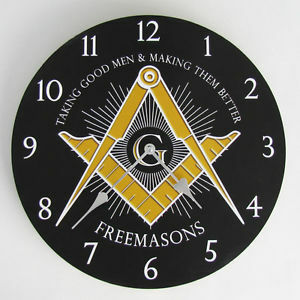 What’s Important to a Freemason? We value honor and integrity. We believe there’s always more to learn. These may seem like outdated concepts to some, but aren’t honor and integrity what is most absent in society today? In Freemasonry we hold each other to a strict code of conduct. “Hypocrisy and deceit are unknown among us. Sincerity and plain dealing distinguish us.” These are not just words to a Freemason. They are part of the very core of who we are. If you browse our main website, you’ll find a link for “Hiram’s Edge.” This a Masonic education program initiated at Saint Paul Lodge and adopted throughout the state. The intent of the program is to teach lodge officers how to build websites, effectively promote ideas and events on social media, and email market with consistency and integrity. These are valuable skills for our lodges, but also in the real world. Part of your membership will include free access to Hiram’s Edge and other educational resources, including college scholarships. How do you become a Freemason? Saint Paul Lodge is located at 42 Central St, Gardner. We meet on the 4th Wednesday of each month at 7:00 PM.